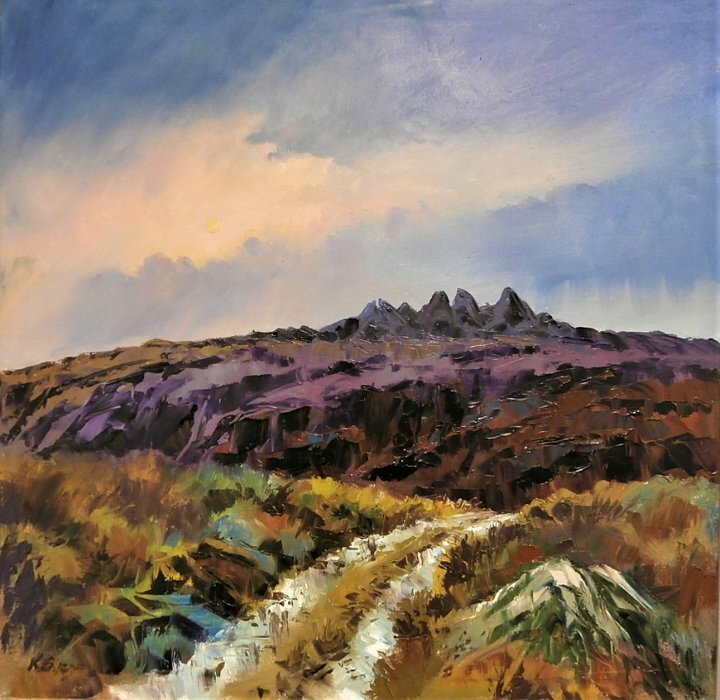 Born in Mold in 1931, Keith Shone progressed from school to Chester School of Art at a time when, in his words, art school in pursuance of a boy’s career, was only one step up from embarking on formal ballet training! On leaving College, Keith Shone started work as a professional illustrator, working almost exclusively for D C Thomson on boys’ adventure comics such as Rover, Wizard, Hotspur and Swift. His latter years in commercial work were dominated by work on the boys’ magazine ‘Commando’, and this continued until the minute detail demanded by close illustrative work took a toll on his eyesight and forced him to abandon this line of work. 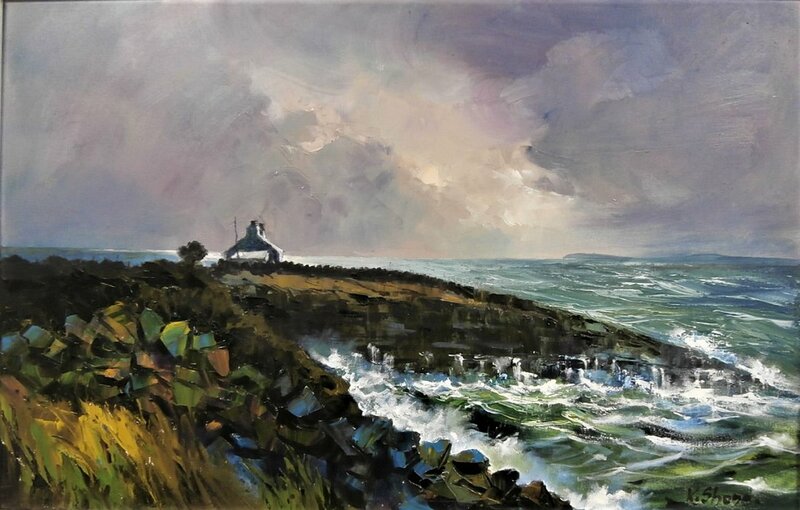 Having moved to Moelfre in 1967 and possessing an affinity with the sweeping shorelines and rugged mountains which are a regular retreat for him and his wife, Keith Shone began painting in pastels shortly after his retirement from commercial work in l995. 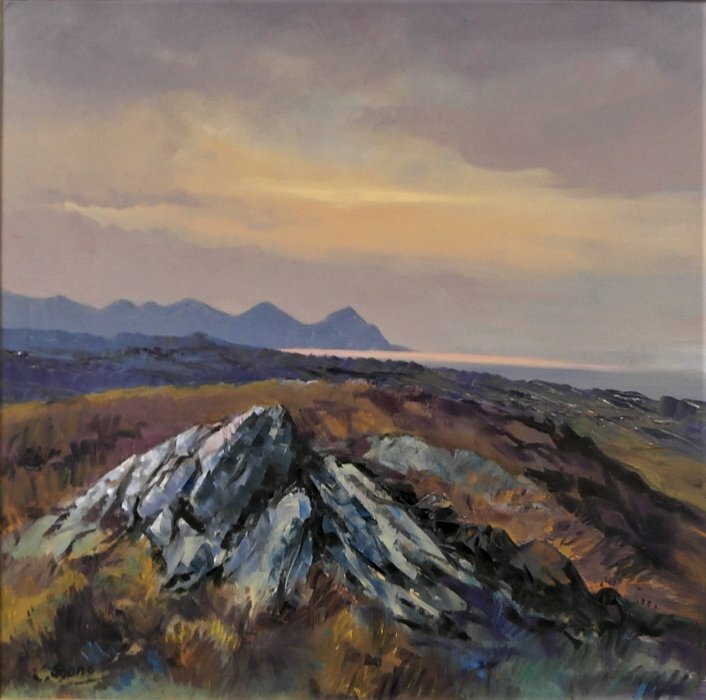 Keith Shone paints very much from the heart and is clearly directed by his emotions and how he perceives the images he views rather than depicting a photographic-like representation of what he has seen. 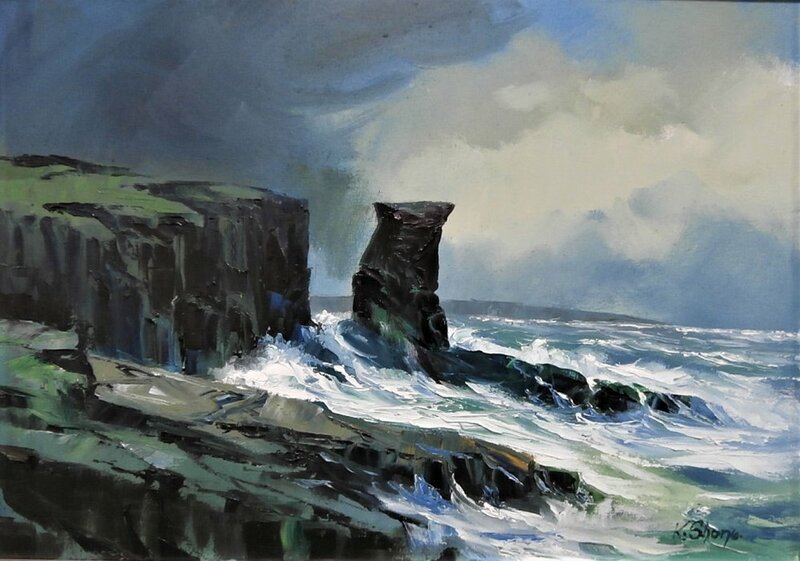 He vividly translates his emotions by using brilliant colour in many of his paintings to portray the influence the scene has on him or its subconscious emotional impact.